Jurgen Klopp has his hands full with the ongoing title race but he's clearly making plans for the future. Klopp isn't solely focused on motivating his current squad of players because he is ensuring that one of Liverpool's top prospects knows that he remains in the German's thoughts. 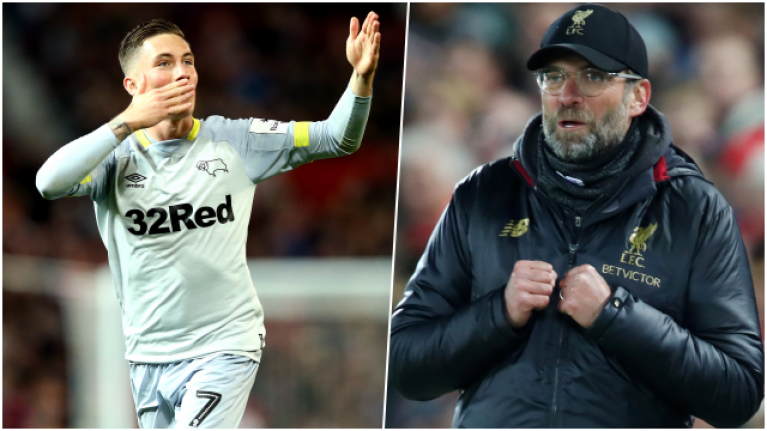 Harry Wilson just recently won his fifth consecutive Goal of the Month award for Derby County and his performances throughout his loan spell with the Rams speak for themselves. Wilson has only made one appearance for Liverpool but his ultimate goal is to become a mainstay in Klopp's plans after he secures promotion for Frank Lampard's derby this term. "The main focus this season is to get promoted with Derby," Wilson told the Daily Mail. "But Mason's goal is to play for Chelsea and my goal is to play for Liverpool. I have always felt like a Liverpool player. "Everything is going along the right path." Wilson has repeatedly displayed his penchant for long-range strikes during his time with Derby, particularly with free-kicks. 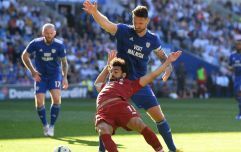 Liverpool fans loved watching an especially stunning goal from Wilson against Manchester United in the Carabao Cup earlier this season and the Welsh winger couldn't fully appreciate the effort until he left the stadium. "I didn't realise the goal at United was as good as it was because I went off celebrating," he explained. "It wasn't until I was on the bus on the way back here that I watched it on Twitter and saw the movement that I had got on it. With it being at Old Trafford made it even more special." Klopp has made sure to keep Wilson motivated by texting him after games, reminding the 21-year-old that he will play a big part in Liverpool's future. "He dropped me a text to tell me he'd watched the free kick against United and he was delighted with the performance - and the goal!" Wilson said. "A couple of weeks ago there was another message saying, 'Good result, good goal - keep going'. When you get those texts, it is a massive boost. You know you aren't forgotten."